We know how to save energy! 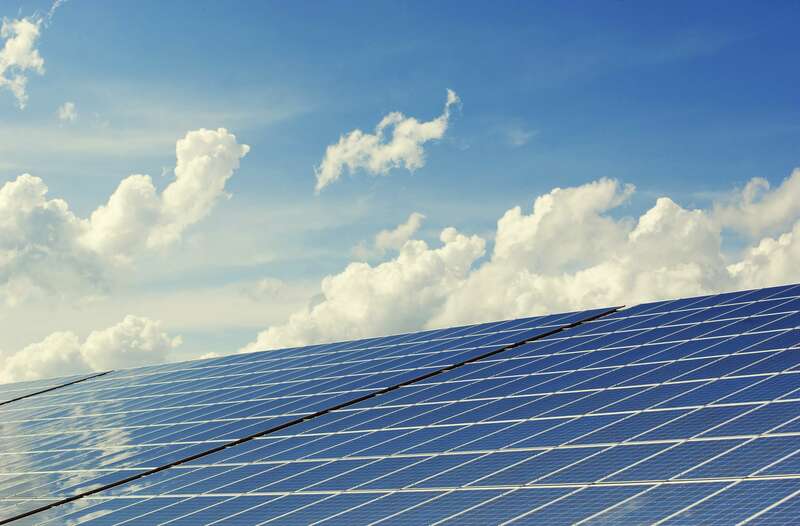 Energy solutions powered by Adroit! 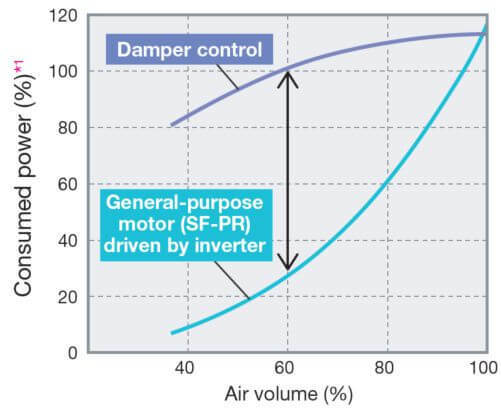 The consumed power of a variable-torque load, such as fans, pumps and blowers, is proportional to the cube of its rotation speed. Optimum excitation control continuously adjusts the excitation current to an optimum level to provide the highest motor efficiency. With a small load torque, a substantial energy saving can be achieved. 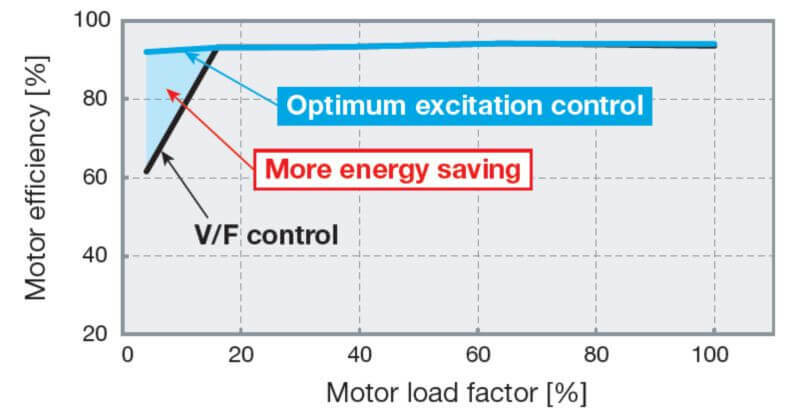 For example, at 4% motor load torque for a general-purpose motor, the motor efficiency under Optimum excitation control is about 30% higher then the motor efficiency under V/F control. Proven Savings NOT just theoretical values! Energy saving effect can be checked using and operation panel, output terminal, or network. 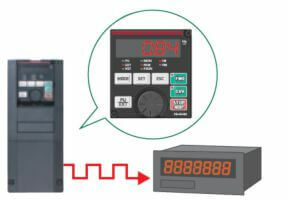 The output power amount measured by the inverter can be output in pulses. The cumulative power amount can be easily checked. 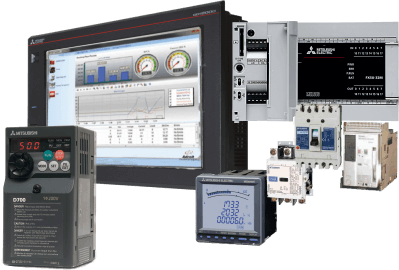 With the Mitsubishi energy measuring module, the energy measuring module, the energy saving effect can be displayed, measured, and collected. 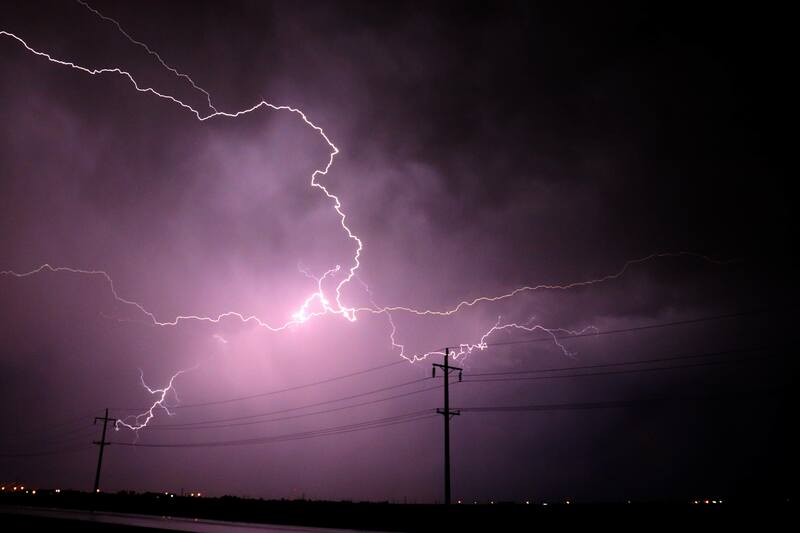 Speak to us about integrating the power savings into measurable reports.